Even though Rolbos is so far away from the capitol of France, the group in Boggel’s Place gathers for a moment of silence to pray for the victims, the families and friends of the people who died there last night. Oudoom leads them in prayer – breaking the sombre silence – before sitting down slowly. “You solve mathematical problems, Servaas. You can’t solve ideology.” When she sees him knitting his brows together, she explains. “Look, both democracy and ideology are forms of brainwashing. Almost the same animal, vastly different outcomes. In democracy the will of the majority is supreme. If you’re in the minority, you’re forced to accept whatever drew the most votes. So you stare at the TV every night, shake your head at the antics of politicians….but you remain a loyal citizen. “Oudoom…?” Servaas can’t believe his ears. Kleinpiet walks in to the bar with a small flower in his hand. It’s a vygie, the hardy little plant that survives in the harsh climate of the Kalahari. 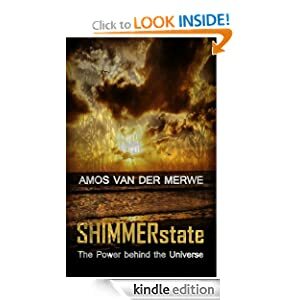 This entry was posted in short story and tagged ISIS, Paris shooting, religion, terrorism on November 14, 2015 by Amos van der Merwe. “That may be true, but the fire in Cape Town destroyed much more than a few old trees. Houses, resorts, forests and the mountainside will need a lot of time and money to recover. People have been left without homes. Animals were burnt to death. I can’t see the bright side this time, Gertruida, I just can’t.” True to her nature, Precilla dabs a tear. Once upon a time – long, long ago – the earth belonged to the birds. Not only were they the only ones who knew the secret of navigation and seasons, they also could fly high to look for fountains and rivers, forests to live in and safe places to nest. Over the years they became more and more numerous as they occupied the most fertile pieces of the land. One bird, in particular, outstripped the others in wisdom. It was a huge animal with beautiful plumage – the envy of all the other flying species. While it was true that this bird could fly higher and remain in the air much longer than everybody else, the other birds accepted his claim and then addressed him as their king. For a while this brought great satisfaction to the self-proclaimed monarch and he bore himself in a manner befitting his new rank. He was gracious and kind and took a keen interest in all those under his proverbial wing. Then, one day, the big king-bird soared high on the winds and looked down at the small animals grazing on the plains below. And the tortoise, slow and small like he was, drew back into his shell to contemplate this. Next, the bird approached a jackal, repeating his claim. And the jackal, as clever as he was, slipped into a burrow under a rock to think about it. Then the bird found a porcupine and informed him that he had to bow down before the new royalty. And the porcupine rustled his quills and withdrew to analyze the situation. Finally, the bird landed next to a lion. Before the bird could finish his proclamation, the lion smote it heavily with his huge paw, cursing the bird for being so forward. The lion turned to go, but the badly injured bird pleaded for mercy. And so the Albatross gathered his feathers and limped away. After he regained his strength, be flew to the ocean, where he resigned himself to his fate. Gertruida smiled as she rolled her eyes. “Don’t you see? It’s the story of South Africa. It is also the story of most countries. The rulers of today will one day – if they live long enough – wonder why they didn’t go about their tasks with more compassion and kindness. They’ll look back and see what they have lost. 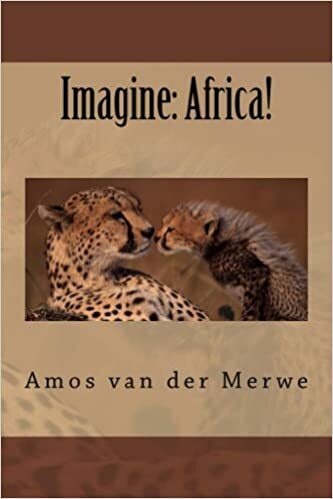 This entry was posted in Life, myth, politics, short stories and tagged ANC, cape, extremism, fire, ISIS, legend, myth, politics on March 6, 2015 by Amos van der Merwe. “It goes back to the death of the Prophet, Servaas, in the year 632 AD. a Caliph or successor was chosen – a man named Abu Bakr. Some thought he was the wrong choice and under the leadership of Ali, the Shia movement started. Well, Abu Bakr was assassinated and eventually Ali became the fourth caliph in 656. Again there was revolt over this choice, and the Sunni’s gathered against him. Ali was assassinated in 661 – and since then the fighting never really stopped. “Ignorance, Servaas, is the pillow on which the uninformed head rests. Listen to what the Prophet said: ‘O you who acknowledge, one people should not deride another, for it may be that they are better than them; nor should some women deride others, for it may be that they are better than them; and do not insult each other or ridicule each other with nicknames.’ He warns against false leaders: ‘And if you obey most of those in the earth, they will lead you astray from Allah’s way; they follow but conjecture and they do but guess.’ And the Prophet writes: ‘Surely the worst of beasts in God’s sight are those that are deaf and dumb and do not reason.’. They fall silent after that – there really isn’t much more to say. Mankind has been created with both evil and good lurking inside every heart – and for some reason, evil will always – like love sometimes – find a way. That’s why the Wrong Past will continue to spawn Evil next to the hearth of Greed, while love and friendship will huddle outside, shivering in the cold reality of a world where care is just another four-letter word. 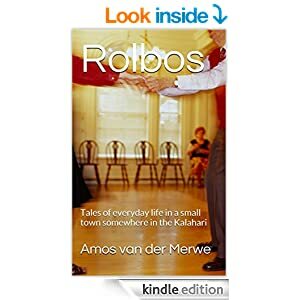 This entry was posted in History, politics, religion, short stories, smalltown short stories and tagged history, ISIS, religion on February 27, 2015 by Amos van der Merwe. The picture of the man stumbling down some stairs caused a bit of debate in Boggel’s Place and Servaas was most upset to learn that Zimbabwe still has the same leadership. “What? How easily we forget, Vetfaan. The situation with ISIS boils down to a corrupted religious doctrine and a fight between the Sunnis and the Shiites. This fight has roots stretching back to the time after The Prophet’s death, when a dispute developed about who the successor should be. After the Americans and their allies ‘defeated’ Al Qaeda in 2006 in Iraq, Al Qaeda eventually emerged again with religious fervour to reclaim their position as true believers with divine goals.” Gertruida is in her lecture mode again. Nothing will stop her now. Now, everybody who knows Kleinpiet, will be surprised at his eloquent use of metaphors. Usually down to earth and direct, his little speech generates a subdued round of applause. Outside the little bar in Rolbos, the sun beats down mercilessly on the barren ground. It’s a desert out there, where only the most hardy of stunted plants survive. Gertruida once said that’s how truth grows: painfully slowly – but it endures. Lies, on the other hand, grow lush and green – but it only lasts a season. 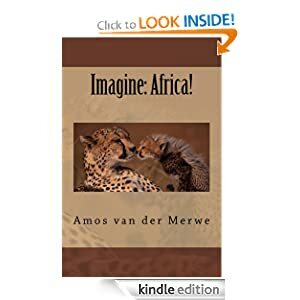 This entry was posted in History, politics, short stories, smalltown short stories, South Africa and tagged atrocities, ISIS, south africa, Zimbabwe on February 5, 2015 by Amos van der Merwe. Once upon a time – long ago – a beautiful animal roamed the veld. Like other creatures, it had a head, a body and four legs. If anybody cared to look, such a person would have said: yes, indeed, this is an animal, just like the others around here. But then that person would have looked again, and remarked on its beauty. You see, this animal had a face that made you smile. It seemed to be happy all the time while it was sniffing the ground and digging for a nice, fat root below the surface. Everybody agreed that the Creator must have been in an exceptionally good mood when He brought this animal forth to live on Earth. It had the softest fur, the cutest little legs and a tail all the other animals envied. But, most striking of all, was the upward curve of the lips. Neither drought nor flood could erase that smile. In short: it was a harmless, joyful little creature that went about its business quietly. But some of the other animals didn’t like the happy creature. They looked at it with jealous eyes and told each other that there must have been a reason why it was so happy. So the three of them; the hyena, the vulture and the snake; set about tormenting that beautiful, happy animal. They stole it’s food. The hyena chased it about. The vulture swooped from the sky to scare the animal they now labelled as ‘the enemy’. And one day – a most unfortunate one, indeed – the snake coiled itself around one of the animal’s young, suffocating it before inflicting a poisonous bite. This happened over a period of time, you understand, but when the baby animal died, the beautiful, happy animal finally lost it’s smile. It shed it’s tail in anguish…and changed the soft, beautiful coat for a set of dangerous quills. No longer would it allow the others to torment it – enough was enough! And so the animal world lost the innocent beauty of a little creature that meant no harm to them. It changed into a walking fort, an armoured fighting machine that even lions and leopards avoided. It became solitary, moving about at night with the frightful rustling of its quills warning off any imminent attack. Hyena was its first victim. When the scavenger tried to harass it again, he got stung by so many quills, it took months to heal. Even today, you can see the spots where the scars were. And when vulture swooped down from the sky again, he lost all his neck feathers when he crashed into those quills. Even the snake tried to kill this new animal, but try as he might, he couldn’t get his teeth into his victim. He suffered tremendous injuries as a result of the quills, causing his face and body to be covered by scales to this day. And so, the greed and envy of the other animals caused the disappearance of the most beautiful of all animals. They had created a formidable fighter, who relied on his impenetrable armour to ward off any threat. The other animals ignore these defences at their peril. “Why do you think about that story now, Kleinpiet?” The usually small furrow between Gertruida’s brows deepen as she glances over at him. Kleinpiet’s little speech causes an uncommon silence in Boggel’s Place. It’s a contemplative quiet, something that is happening all over the world. It’s the stillness after a lightning flash, before the rumble of thunder reaches the ears. It’s the echo of the mute rebellion – in London, Paris, Washington…and many more small communities all over the world – in which the soft fur of beauty is slowly changing into dangerously unforgiving quills. 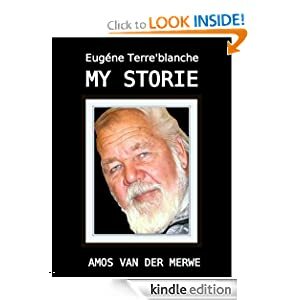 This entry was posted in Life, short stories and tagged al qaeda, charlie hebdo, crime, extremists, ISIS, murder, politics, terrorism, war on January 26, 2015 by Amos van der Merwe. Nighttime in Africa represents a fascinating interplay of uncertainty and adventure. This is true for the modern-day camper; but it’s even worse during times of war and conflict. Today one may sit comfortably next to the fire, clinking a few ice cubes in the scotch in the glass, while listening to a hyena calling a few hundred yards away. That’s the romantic picture, the allure of the bush, the reason why so many tourists flock to this beautiful country. But when the smell of cordite stings the nose and the thud-thud-thud of a hovering gunship helicopter seems to be the only sound in the gloom…well. then even the bravest of soldiers finds it hard to control body and spirit. When rifle inspection is done the next day, it isn’t unusual to find so many soldiers with full clips of ammunition – they simply crept to the nearest rock to spend the night in prayer. It was during the build-up to Cuito Cuanavale that Vetfaan lived and prayed through just such a night. The patrol of four men had almost completed a sortie of a sector and were on their way to the base camp, when it became painfully obvious that they were lost. The map didn’t make sense. The compass reading was off. Overhead, a bank of clouds threatened to release the torrents of rain so characteristic of January in the subtropics. No stars. Not even the moon. And then a single shot rang out. One loud bang in the silence, reverberating across the veld in a promise of death. They huddled together next to the trunk of a huge jackalbery tree, whispering in almost-inaudible tones. Who the $%#@ fired that shot? Where did it come from? I don’t know. That way? The darkness prevented the others from seeing which way the trooper was pointing. Doesn’t matter. Somebody out there is taking potshots at somebody. We have to get out of here. Another shot rang out. Nearer this time. Vetfaan took out the faulty compass to study the luminous needle behind a cupped hand. Let’s just adjust the bearing by about thirty degrees, and follow the compass. We should get to a river sometime, then we can follow it to the base. It’s upstream, if I’m correct. Let’s go. Nobody argued. That’s the way it worked. Somebody made a decision and the rest followed. If the decision turned out to be wrong, they’d all pay the price for it. But, unless you could come up with something better, there was no other option. About half an hour later, Vetfaan almost stumbled over the man waiting in ambush next to a faint game trail. This man – a Cuban, they later discovered – was the first in a line of nine soldiers, waiting for them to enter a killing zone that would have wiped out the entire patrol. Vetfaan didn’t think. Reacting instinctively, his huge hands found the man’s neck, choking hard to prevent the hapless soldier raising the alarm. With the man writhing desperately to loosen the grip, Vetfaan turned around and walked his patrol out of the area. “Did you kill him?” Precilla’s eyes are wide with fear, her lips a thin line of disgust. War has never made any sense to her. Vetfaan manages a wry smile. “No, I didn’t. He was a small bugger, poor chap. I dragged him to a spot where we thought we’d be safe and then made him sit down. He could speak broken English, so I told him we’d let him live if he could tell us where we were. Man, you’ve never seen a guy so happy to tell something to his enemies. So we took his gear – he had dropped his rifle when I grabbed him – and made him take off his shoes. Told him to stay right there until the sun came up. The group at the counter sits in silence, each lost in own thoughts as they remember the dark days of the Border War. “Ja,” Servaas says, “it was dark in many ways. Many young men got lost there.” Vetfaan knows the old man isn’t talking in geographical terms. “Who’s Cameron?” Servaas isn’t big on international affairs. Gertruida ignores him. This entry was posted in History, South Africa and tagged beheading, Christianity, IS, ISIS, Islam, Middle East on November 18, 2014 by Amos van der Merwe. The group in the bar has been discussing the events in Ottawa and the possible connection with ISIS, after Gertruida explained the issues in the Middle East. Servaas said something about the danger of a Jihad, prompting Oudoom to caution against prejudice. “That’s the oldest story ever told, Servaas. Go back in history: more wars were fought in the name of religion than anything else. The land disputes and greed of kings and rulers pale into insignificance once you add religion. Since Biblical times this hasn’t stopped. Joshua invaded Canaan. The Israelites fought the non-believers. The Muslim conquests in the 7th and 8th century were followed by the Christian Crusades. Today we have similar situations in Afghanistan, Syria, Somalia, Nigeria…and now in Canada. Oudoom smiles at this. Yes…ever since the Garden of Eden it has been like this. Did not the snake speak to Adam and Eve…with it’s head? And does not a snake kill with it’s fangs and not it’s body? Yes, somewhere in the world the head of the snake is hiding while we insist on being horrified by the body we can see. This entry was posted in History, politics, smalltown short stories, terrorism and tagged ISIS, mythology, Ottawa, religion, terrorism, WPLongform on October 23, 2014 by Amos van der Merwe. Servaas gathers his brows together, shaking his head. As one of the few hippy-elders of the world, he feels he has to respond. “Ah, yes – the much maligned Nero. Yes, you’re right about the Christians – but he wasn’t a tyrant. A tyrant, according to Plato, is “one who rules without law, looks to his own advantage rather than that of his subjects, and uses extreme and cruel tactics—against his own people as well as others” This description, quite clearly, doesn’t fit Nero. He was extremely popular at the time, the masses loved him, and he stuck to the law. At least, he used the law to solidify his position as ruler. Clever, no? “But he wasn’t a nice man. His stepfather – Claudius – had another son, Britannicus, a few years younger than the adopted Nero. Some wanted Britannicus to be the emperor after Claudius’s death – who incidentally died after eating some mushrooms. Poor Britannicus also died after ingesting poison on the day before he would have been proclaimed an adult. which would have strengthened his claim to the throne. The list of murders in which Nero was supposedly involved, is a lengthy one. If you dared cross him, you were simply removed from the scene. Even his mother didn’t escape his wrath. “Despite all this, he was also rather popular with the ladies. He married three times – taking women from higher and lower in social standing – and is rumoured to have had a number of willing lassies waiting for his call. Isn’t it strange how women gravitate toward men in power? No matter what the man does or how he conducts his affairs, some ladies simply can’t resist sucking up to them, if you’ll excuse the pun. “And then there was the Great Fire in Rome in 64 AD. Many historians blame Nero for the fire, but the debate on the cause still goes on. What is known, is that Nero certainly didn’t play a fiddle while Rome burnt – the fiddle would only be invented almost a thousand years later. But he may well have played a lyre, which may have been the granddaddy of the violin. Anyway, he wasn’t in Rome when the fire started, according to Tacitus, he was in Antium. But…of course he wouldn’t have run through Rome with a box of matches himself, he was the Emperor, for goodness’ sakes! A man like that had many servants, not so? If you’re the ruler, you’re supposed to be distanced from any criminal activity. It’s just like the Arms Deal: you have to make sure you have enough other officials to blame in order to make yourself look good. “Anyway, Nero knew that popular support was important to anybody who wanted to stay in power. So, after the fire, he set about doing charitable deeds. He had Rome rebuilt, providing his subjects with brick houses to replace the shanties they had lived in before. While he was keeping the populace happy with their fine, new, one-roomed dwellings, he quietly had his architects design a new palace for him: the Domus Aurea or Golden House. This was – quite coincidentally – situated on a piece of ground recently bared by the fire. “Now this palace was something else! Situated on a hillside, the grounds sloped down through an amazing garden which bordered the man-made lake. It had 300 rooms, and the main dining room had a revolving ceiling, resembling the movements of heaven! Other ceilings were covered in mosaic and there was a large statue of Nero, himself. And oh! The decorations! There were paintings and frescoes and and ivory and marble – every conceivable luxury of the time was displayed to emphasise the importance of the man we know as Nero, the Tyrant. “And his palace?” Vetfaan has to know. “Some did, Precilla, but not all. The lower classes still held Nero in great esteem, revering his memory. It was only the people who understood what he had been doing who had reason to feel relieved. Still, it took a number of years for things to settle – a situation like that doesn’t end when the tyrant goes. “But the palace…the palace started the slide in his career, didn’t it?” The pleading note in Servaas’s voice is unmistakable. This entry was posted in History, politics, short stories, South Africa and tagged Africa, corruption, ISIS, nkandla, politics on September 30, 2014 by Amos van der Merwe. Click me to find out! Gertruida’s Conspiracy Theories about Uncle Bob and the 2023 Rugby Bid. When people ask the wrong questions. Coulrophobia is alive and well.. The Pig, the Hogs and the Rest. New!!! Near-death experience – the final portal to the ultimate truth? The lust for innocence…an impossible dream? Click image for a free 14-day trial...direct delivery to your reader.